doing and will keep you motivated to increase the number of "Es." highly recommend listening to Self-Esteem: Your Fundamental Power. Ellen Barrett takes instruction to new levels of perfection in Crunch Burn & Firm Pilates. I've rarely seen an instructor not only challenge me to my limits, but also keep me informed as to the next exercise so as to keep me in total harmony. While doing this workout the first few times, you can modify most of the exercises by not using weights. When you do start using the weights it is invigorating and your heart rate will definitely be elevated to a fat burning zone. There are quite a few completely unique exercises I have never seen in any workout. The "swan extension" is an artistic exercise you accomplish with two weights in hand. You almost feel like you are dancing with weights in some of the segments. Side raises with weights and lots of raising the arms and moving side to side raises the intensity. Previous experience with Pilates and Ballet will make this workout especially intriguing for intermediate students of both. Ellen Barrett will often alternate between balance and control and then at times require you to balance while controlling the weights and movement of your arms in two different directions. The balance challenges in this workout are exciting and the hand-held weights make you feel much more powerful. My only question is: "Why such a short stretching session after such a high intensity workout?" The place I felt this workout the most was in my lower back and the stretching seemed to mainly focus on the upper body. My knees seemed fine during this workout even with the lunges because Ellen makes sure to remind you to turn out your toes and to check to make sure your knee is not going over your toes. If you are looking for a perfect warm up, high intensity cardio routine and progressive challenges, I think you will love this routine. The footwork is fairly easy with the coordination level being more challenging for your arms so you get a great arm workout. If you have been working out for years and have tried Pilates, Yoga, Ballet and a wide variety of traditional exercises, Kristin McGee will take you to an entirely new level of fitness. Throughout this workout you will recognize Pilates exercises, but they have creative twists and present new challenges for the intermediate level. The creativity in this workout is stunning and mediocrity is not an option. Kristin presents challenging isometric exercises to test your highest level of patience. Yoga definitely prepared me for the concentration needed to count to ten. So, the first time I tried this DVD I thought for sure I would never complete the exercises. My mind tried to tell me I was not young enough and that I should probably go back to a milder form of exercise at a slower pace. However, I'm back to say that you can do this if you watch this DVD first, then try the exercises at your own pace. By the third viewing you may find you can almost complete all the exercises with a few modifications. This workout is in a club setting. The fuchsia mats are set on larger purple mats with white stars. The dark floor and the sapphire backgrounds make this an aesthetically pleasing workout. Routine 1: This is a ½ hour body shaping routine with a focus on strengthening core muscles, toning the arms and working the abs like never before! Combine this routine with the second routine for a full-body workout. The beginning of this workout is deceptively easy. You quickly warm up and then move from standing to the floor in a quick sequence of movements you may recognize as a type of Vinyasa. Then you spend a lot of time doing push ups without really realizing you are doing push ups. This is wonderful because the variety helps you tone up your arms without boredom. Your wrists may start to tire out if you don't give yourself enough breaks. I did wish she had alternated with exercises you could do on your back because I started to feel that I was spending too much time looking down at the mat. However, the bonus is a test for your patience level. 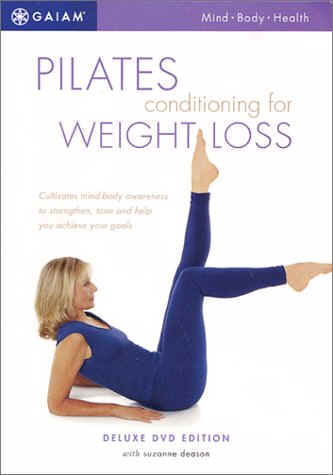 Due to the fast-paced style, I'd recommend this to anyone who has a basic knowledge of Pilates and Yoga. A Yoga mat is needed, even though this is presented as a Pilates workout. There are many Yoga postures and while you are in the isometric positions it is helpful to be working out on a secure surface. Routine 2: This is a ½ hour workout designed for the legs and abs. You will feel your entire body being strengthened and toned. The beauty of Kristin's teaching style is in the motivational quality of her challenge. She presents the challenge and gives you more options. You can follow her and go for the advanced routine or you can choose beginner or intermediate. I found I was alternating between all three, depending on the exercise. Bonus Routine: You could add this to the hour workout (Routine 1 and 2) or you could use this routine when you have less time. 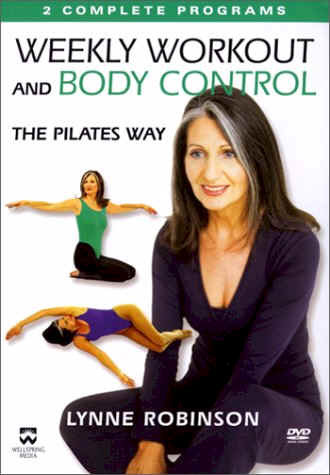 I'd actually say it is filled with creative interpretations of Pilates exercises. Create Your Own Routine - Step-by-Step selections lead you to your perfect exercise routine. Audio Setup - Want to listen to your own music? You can select the Instructor-Only Audio Track. I enjoyed the music on this DVD and it kept me motivated. After exercising, you may enjoy the music-only audio track for stretching. There is not a lot of stretching or a cool down section at the end, so that might be an option. This DVD is not only a true test of your physical strength, the exercises will test your endurance and willingness to push your body to the next level. I was very determined to make it through this workout and on the second try I made it through most of the exercises. It brought out an entire level of competitiveness I didn't even know I was capable of and I was determined to make it through this DVD as if the world would end if I didn't complete the exercises. Now I look forward to incorporating this workout into my weekly routines. Definitely an intermediate to advanced workout to try after learning the exercises in the MTV Yoga, MTV Power Yoga and MTV Pilates DVDs. 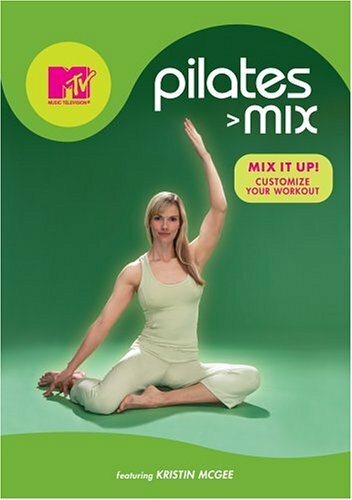 The Music on this Pilates DVD is perfect and compliments Kristin's teaching style. Whatever will she think up next? I can't wait for the next DVD and I look forward to the challenge. This is an excellent place for beginners to introduce themselves to Pilates. It is also a relaxing workout for intermediate Pilates students. Kathy Smith creates a beautiful caring environment with a garden patio and beautiful mat colors. The Hundred - a breathing exercise you do while you are on your back with feet in the air. Challenging for the stomach muscles. Roll Ups - from a completely flat position on your back, you roll up. Once you accomplish this, the satisfaction of being able to do this is immense! It is really challenging at first, but then you develop core strength. for a relaxing workout in the evening. Altrec Camping, hiking and other outdoor gear. American Hiking Find out where you can go snow shoeing. The fastest growing winter activity in the U.S.A.
Asimba Voted the top fitness Web site last fall. Athleta Athletic wear for the active women. Baseball Express A huge inventory of baseball gear. Boater's World Boating, fishing and water-sports gear, not to mention water-resistant stereo equipment. Savon Health Click on "Health Quizzes" to find your Body Mass Index (BMI) test. Bowling Shirt Custom bowling shirts and bowling-related items. Bustamove Animated figures teach you how to swing, salsa, etc. Helpful for those video workouts! Champs Sports Shop by sport! CNN Sports Illustrated Web site. CrossBow A new way to get fit. Cyberdiet Weight loss, nutrition and diet. and Baryshnikov, plus a variety of dance-related gifts, makeup, tights and accessories. The place for dancing shoes! Diet Smart Choose from six customizable diet plans to help you lose one to two pounds a week. Eastern Mountain Sports Everything for campers, climbers and bikers. personal training sessions onto your ipod. Entertainment Time to take a break and have some fun? Espn ESPN sports news Web site. Fifty Plus A site dedicated to improving the physical fitness and promote active healthy lifestyles. I am looking for the best Stretching Videos and DVDs! Suzanne Martin has cataloged almost every stretch known to humans in one book. Page after page of head-to-toe stretches are shown in full-color photography. You can either stretch during daily activities or create an entire stretching routine. By stretching the body, you can stay healthy and supple, prevent injury while playing sports or relieve pain and improve your posture. No matter what you hope to achieve, Suzanne Martin's book makes it possible. STRETCHING is an excellent guide to more stretching techniques than I have ever seen in an exercise routine/stretching routine DVD. The practical stretching, for say computer use, makes this book indispensable. Fit Now Work out with George to get a lean body. Fitness Online Learn from America's leading health experts. Fitness Zone Find a health club wherever you are. Fitter1 Look for the Tri-Level Wobble Board used to improve equilibrium, coordination and posture. Food Fit Includes a menu planner, recipes and advice from a nutrition expert. KdDance Dance, Dress, Yoga, Sports, Men, Kids. Clothes for everyone. Illustrated Yoga - The Best Book I've Seen! 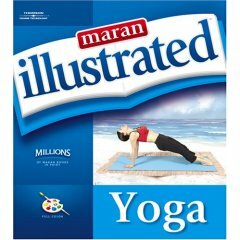 Maran Illustrated Yoga is a complete introduction to yoga postures and styles of yoga. Whether you are interested in Bhakti, Hatha, Karma, Jnana or Mantra Yoga, there is something for everyone. Do you want to focus on self-discipline or mantras? Is meditation important to you for a more relaxing lifestyle? This is the first book I've found that covers the types of yoga and then explains the variations within each discipline. So, Hatha yoga also has many styles - like Power Yoga/Ashtanga or Kundalini Yoga, both of which I've tried and enjoyed. Yoga can improve your mood, reduce stress, improve mental functions, improve your self-confidence and reduce pain in your body. The emphasis on breathing helps to release tension from the body, while the exercises improve flexibility and strength. New to Yoga? 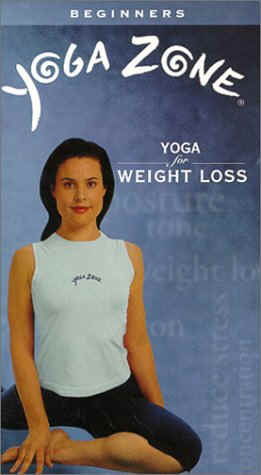 There is a complete list of yoga clothes and props. There is also advice on how to find a yoga class. While you may feel more inclined to do yoga with an instructor or while watching a video, this book will introduce you to the postures. If you have been practicing yoga for many years, you may find you can take your practice to new depths through reading the details of each pose. Chapter 15 gives advice on how to create a personal yoga practice, complete with instructions and pictures. This entire book is a beautiful celebration of yoga and all its varied possibilities. Highly recommended to new or experienced yogis, teachers or students. One of the enlightening aspects of this book is it gives names for all the poses, which is wonderful if you have been looking for a detailed resource with pictures. Rainbeau Mars presents an intermediate practice session on a rocky shore in Maui. If you enjoy exercising outdoors, this is a session with flowing postures set amidst the ocean's power. As waves crash behind Rainbeau Mars, she calmly moves through shoulder openers, challenging plank poses and the traditional downward dog and cobra. Plank becomes more challenging as you extend one leg behind you and then lower all the way to the ground. Moving as slowly as you are (the routine is highly focused and precise), you may find yourself out of breath because you are truly lifting your body weight and moving from standing to flat on your stomach to revitalize your entire body. If you wake up and you feel tired and listless, try a bellydance routine and then try this yoga practice. The positive narration and ocean vistas are emotionally healing and completing the challenging exercises will give you a renewed confidence to face the day. While many yoga routines seem to put me right to sleep at the end, this one leaves you feeling invigorated and very alive. You may also notice improved posture. Special Features include working out without narration and additional bonus workouts with front and side angle views. What I like most about this entire workout is the focused narration and the insightful instruction throughout. Rainbeau Mars' advice allows you to go deeper into poses than you ever thought possible. The emphasis on breath work makes Total Yoga Fire a healing escape into relaxation. This is one of the few portals into total bliss with an invigorating yoga practice followed by stretching and relaxation. The entire experience can then be enhanced by climbing into a warm bed and listening to Terri Oldfield's Yoga Harmony after the workout. I have rarely reached such a blissful state of relaxation, but this Total Yoga Fire is a definite portal to glimpses of worlds yet unknown when remaining in a state of anxiety, stress and tension. To allow yourself to be challenged by an intermediate to advanced practice session increases your self-esteem. Then the sense of accomplishment you feel is captured in the relaxation session. Tracey Rich and Ganga White lead you through an advanced routine of challenging asanas (poses) and vinyasas (series of poses). There seem to be more vinyasas at the start as you completely heat your body. During the asanas you work on balance and strength. The challenge is to continue through the vinyasas and to complete the flowing series of A, B, and C salutations. The back bends can be modified for intermediate students and the chest opening stretches feel wonderful if you have been sitting at a desk for extended periods of time. There are challenging balance postures and wonderful stretches. The inversions are the most challenging I've ever seen and as an intermediate student, I won't be standing on my head without the assistance of a wall nearby anytime soon. There are very few modifications, if any. In fact, there are more challenging postures shown by Ganga White that will take me four years or more to achieve. He puts his leg up behind his back with his foot behind his neck. I've heard of people being able to do it, but to see it is quite something else. Both Tracey and Ganga show incredible flexibility from a lifetime of dedicated practice. They are truly inspirational. With the word "advanced" in mind, this will completely relax you because you will use up every ounce of energy you had in a single 60-minute routine. In fact, I'd highly recommend planning for an extended relaxation session at the end. Climb into bed, relax completely, take a nap. What you will then experience is not only the blissful elements of complete relaxation, you will feel completely rejuvenated when you awaken. You may only drift off to sleep for 15 minutes, but the effects are profound. You can literally feel increased blood flow to your skin and a sense of calm engulfing you as if a healing force is nurturing your body. You will be radiant as well as spiritually healed. and you can reduce muscle soreness. Al Bingham has a unique teaching style. He focuses on achieving and maintaining the correct position for each posture. This particular Weight Loss Yoga practice session relies on time-tested principles to achieve weight loss results. By removing all the restlessness you experience from daily stress, you can then start to address unconscious eating habits. Suddenly, you are making better choices and wandering in the natural foods isle of your grocery store. Since starting Yoga, I've rarely found myself at a fast-food establishment and when I do happen to be there with my husband, I'm making better choices. For example - salads or low carb options. So, Yoga works. This I've proven to myself. It strengthens you from the inside out and also helps you focus on your health instead of just "exercising." Yoga actually makes you a more well-rounded person, except you can see it toning your muscles and making your face look more relaxed. In fact, if you skip your Yoga, you start to crave the peaceful serenity of your daily "moment with yourself." Al Bingham's voice is so pleasant and his instruction style is positive and nurturing. I love how he takes a hands-on approach and really guides you through each exercise. You can be assured you are doing it correctly because he explains each position in depth. This is one of the most accessible yoga workouts out there. The exercises range from beginner to intermediate with some interesting variations for the chair pose which made the pose less exhausting, and much more creative. You will recognize positions like Warrior 1 and plank pose. There are yoga-style pushups and the entire exercise routine is pleasantly paced. The Sun Salutations are healing and teach you to breathe. Al Bingham's calming voice makes this a favorite for late night relaxing. The beach scenes take you out of your home environment and give you a mini vacation. Yoga has been the favorite exercise for me as long as I can remember. Even as a child I would do some of these stretches in gym class. Later I learned the peaceful effects of stretching and mental clarity soon followed. To think clearly you must know yourself. To know yourself you have to go to a place you can learn who you are. Yoga invites you to do this. I don't get into the deeper spiritual side, but prefer to indulge in the stretching and relaxing techniques. Light a candle and practice this session in the evening before you go to bed. In the morning you can push yourself a little harder and warm up your muscles for maximum stretching potential. Karen's new videos will leave you refreshed and invigorated. Once I have completed this challenging video, I feel stretched, strengthened, toned and very peaceful. If you are just starting out, be patient with yourself. Yoga will develop patience, character and strength. Think of each posture as a goal; by the third or fourth time, you may achieve what you see. This video is a combination of Pilates and Yoga. Ordering a sticky mat is essential (information is included in video pamphlets) so you don't injure your muscles by slipping on a carpeted surface. There are no spiritual references and Karen's calming voice leads you through the poses in her organized way. The music is very relaxing and almost makes this the Nordstrom of Yoga videos. I recommend walking for at least one half hour before attempting the stretching exercises. This helps to warm the muscles and allow for a deeper stretch. Joshawipes - Natural Cleansing for your Yoga Mat and Props - contain natural essential oils. Scents - Lavender, Tangerine, Eucalyptus and Peppermint.